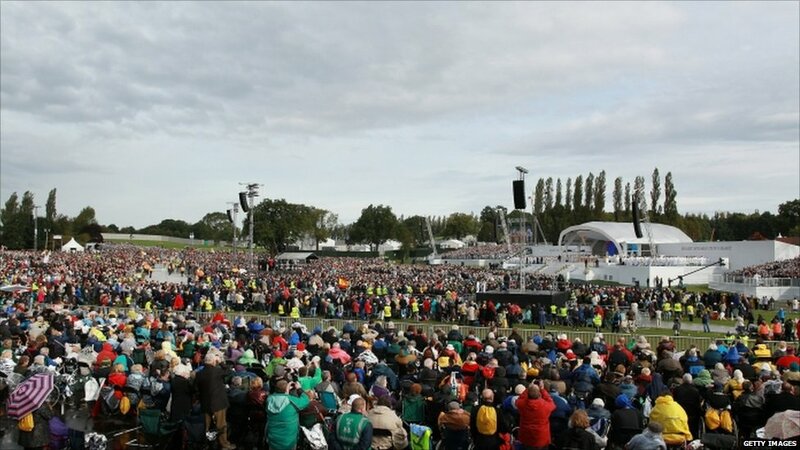 About 50,000 people gathered at Cofton Park in Birmingham to watch the Pope celebrate the beatification Mass of 19th Century theologian Cardinal John Henry Newman. 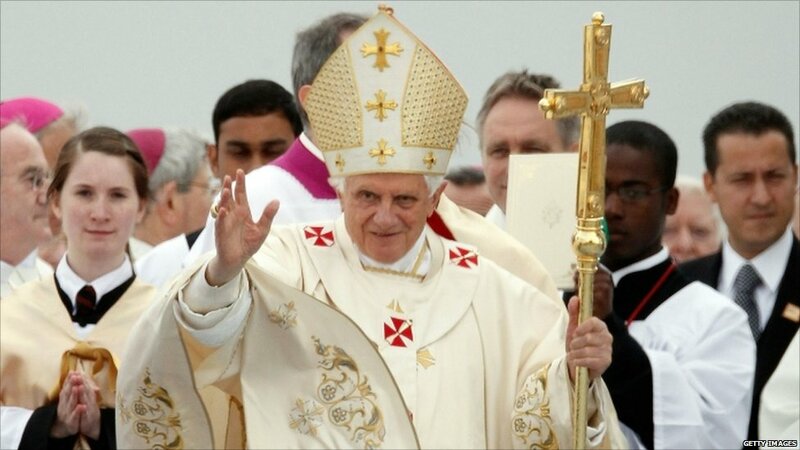 Pilgrims travelled through the night to get to Cofton Park to see Pope Benedict XVI on the final day of his four-day UK visit. Young and old travelled to Birmingham to see the Pope. 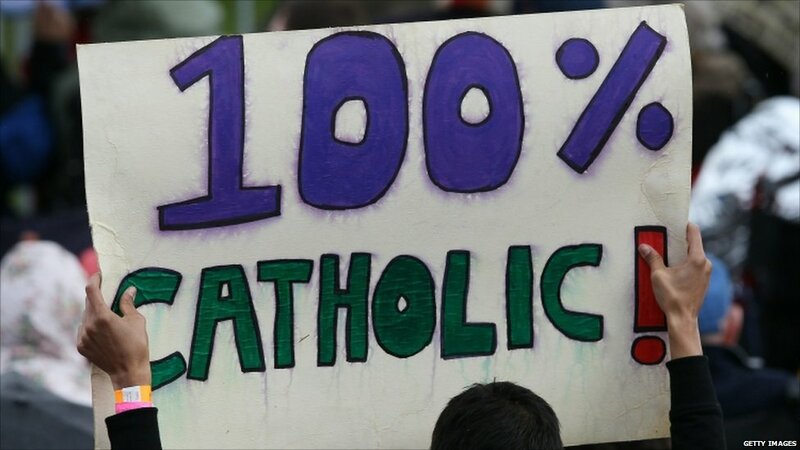 Many Catholics waved banners and flags. Three nuns sheltered from the rain as they waited for the Pope to arrive. 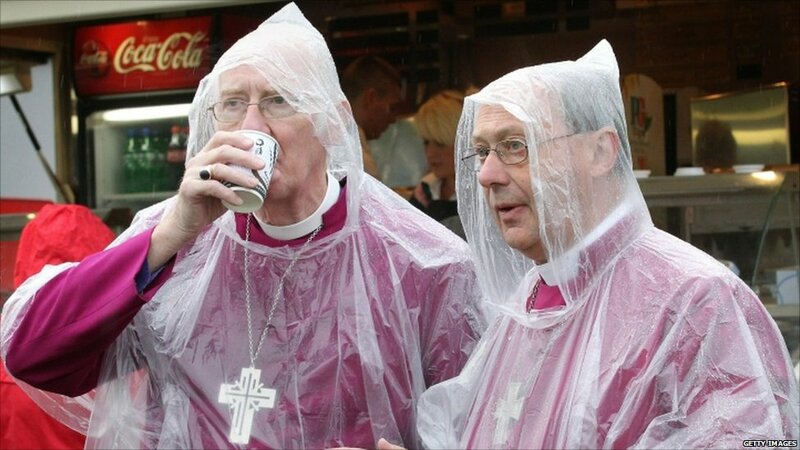 Church of England Bishop of Winchester Michael Scott-Joynt and Bishop of Guildford Christopher Hill kept warm by drinking coffee. 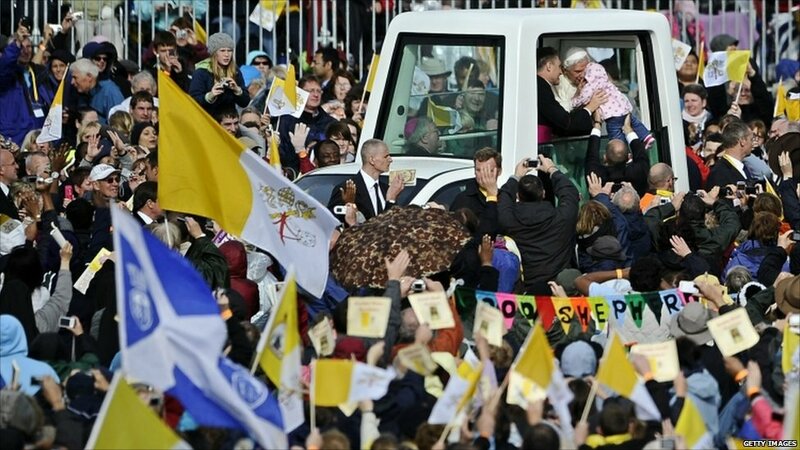 The Pope kissed and blessed a baby as he made his way through the crowds at Cofton Park. 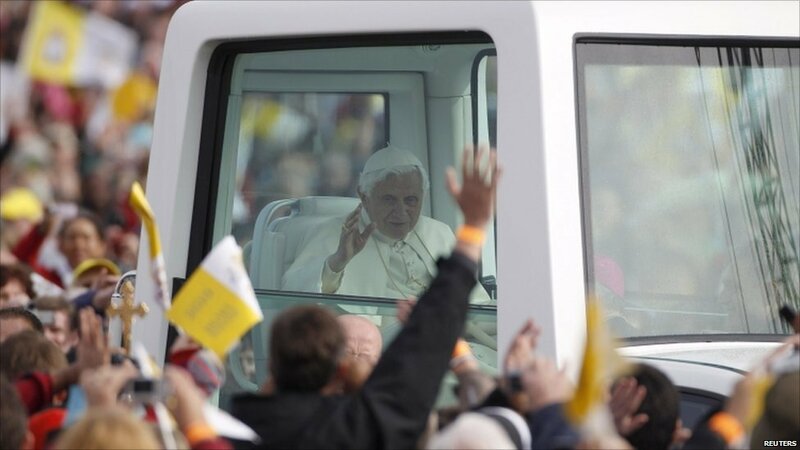 The crowd cheered loudly as the Popemobile drove past them. 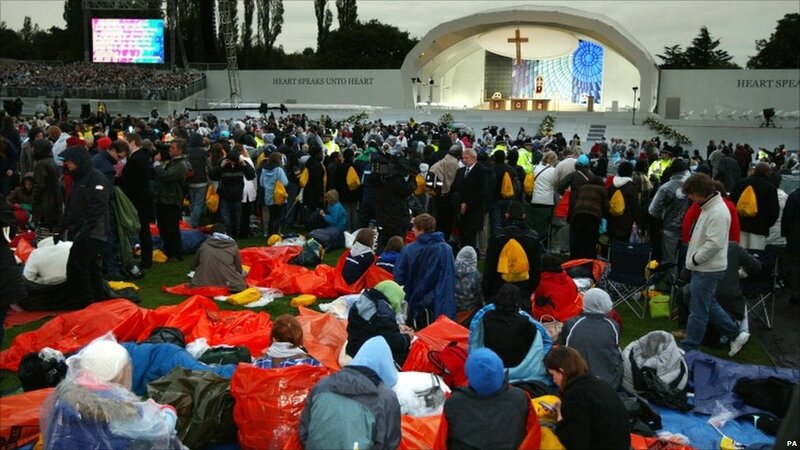 The Pope addressed the 50,000 people gathered at Cofton Park during the open-air Mass.